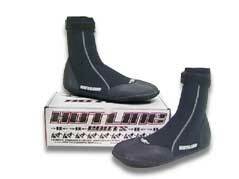 Hotline's excellent 3mm covered split toe bootie with a thick & durable rubber sole. These boots are marked as size 12 but fit size 14. Special close-out pricing! All sales FINAL.